Growing up as a Catholic, I always hear the phrase “Spread the word of God”. Back then, it was just a phrase for me that I usually use in making my reflection for the Sunday Mass in High school. An assignment I need to pass and to conclude everything in my writing, I shamefully addressed it as a simple action. And here I am embarrassed of what I did in my teenage phase. With this in mind, I come to think how the apostles did it. It’s amazing how they lack transportation, yet they were able to give catechism and spread the word of God to the world. They walked a thousand miles and put all their efforts to share the good news to those who haven’t heard of it yet. They did it using all their capabilities with love. On the other hand, a question bothered me, why this generation finds it difficult to do what our apostles did? Is it just me who ask this kind of things, or there are others like me? I would like to emphasize the importance of this matter on my side. Back in my childhood days, my teachers always ask “What do you want to be when you grow up?” My answers were, I wanted to be a Miss Universe or a Princess. (I know every girl wants this) If both are too impossible to attain I wanted to be a nurse or a doctor. You can say I was a dreamer back then, and I am until now. Certainly, I want to be a Miss Universe because Beauty Queens have their own advocates, Princesses do charity works, and Doctors have their skill to help others in need. Now that I’m recalling it, it amazes me how my classmates and I have different wants, but most of our reason is “I want to help others”. I know that every help is equally important. I’ve been doing a lot of volunteer work and searching the right group and community to support their vision and mission. It was hard to find it, but I am happy I finally found where I belong. I found Christian Life Movement. It is an ecclesial movement approved by His Holiness St. John Paul II in 1994, which is present around the world. If you’ll ask me, why CLM? Because they focus not just on human needs, but also what human souls need. Just like what the apostles did. Most of the members of CLM are young adults. The community represents our generation of individuals with great power of confidence, with a universal heart, and with a mind creating bigger dreams not only for them but for the future. This future includes sharing the same faith with the world. Because the human heart is made for love, we seek it tirelessly. I was pulled by the Title “Why not change the world” to join the College Congress by CLM. Alone, and knew nothing about the whole organization, I went and join the congress for 3 days. The first time I met the CLM members. They are warm, joyful and nice. At that moment, my CLM journey begins. I’m not into group prayers, never attracted to those. It bores me to death. Good thing that CLM has a different approach. I was honestly attracted first to the Mission day. Let me give you a brief of history. Mission day started in year 2009 at Caohagan Island, Lapu-Lapu. Christian life Movement went there three times in two years. Followed by Pandanon Island, Bohol in the year 2011. Finally, in November 11, 2012 the mission continues in Caubian Island, Lapu-lapu. For a couple of Mission Day held there, it then became a monthly activity starting July 2013. 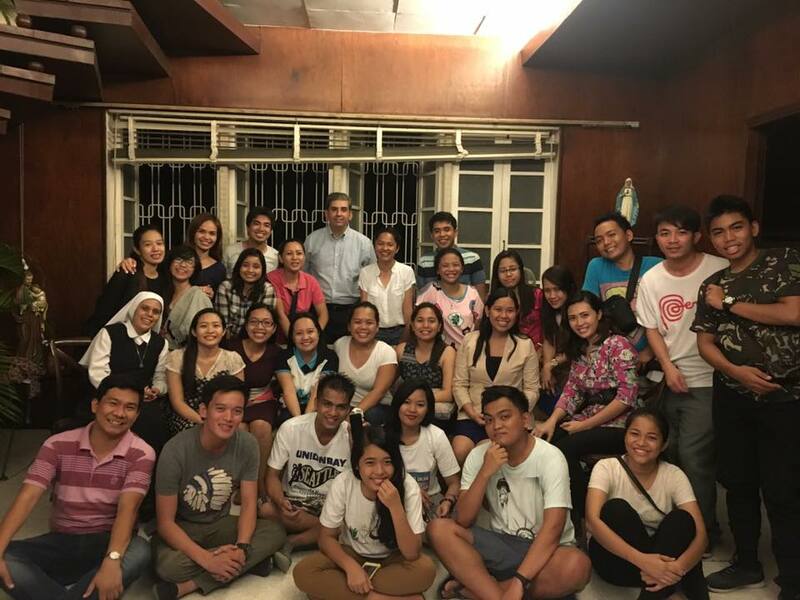 Philippines is composed of 7107 islands, given it is an archipelago, the movement is aiming to evangelize communities that need help to create a deep relationship with the Lord and build a good foundation of Catholic faith. By this mission, people need to connect with other people. The reason why this mission is not only targeting the people of the island, but also the people outside of it. Giving the Millennials of this generation the opportunity to volunteer and experience what it is like to be a missionary in today’s time. Christmas is Jesus Campaign in Caubian Island just ended. Another fruitful day. And as a millennial, mission day made me realized a lot of things. First, I participated in order to help other people and to share my gifts with them. It turned out that the people in the island, including the volunteers gave me more than what I have actually given. They made me realized how easy it was to appreciate, to give, to be humble and to love. Second, a simple testimony can go a long way. Not just in words, but also in simple actions. If one can just pay attention to every detail of goodness, one can know what great testimony someone can give. Third, everyone has a role. I learned that there’s no such thing as big and small task. Each role, complements one another. I am happy that I am part of this community that encourages one another to make effort using all the powers and capability to fulfill God’s plan. Finally, I learned that in everything I do, it should not compliment me as person, but as a child of God. That being a catholic does not stop from attending the mass, doing missions, doing catechism to others. Therefore, we should not settle for lukewarmness. We have to show the world what it is like to be a missionary and a good testimony in this lifetime. It may be hard to swim against the current, but I know it will be worth it. P.S help us make Christmas is Jesus Campaign a success. Join us this whole December!